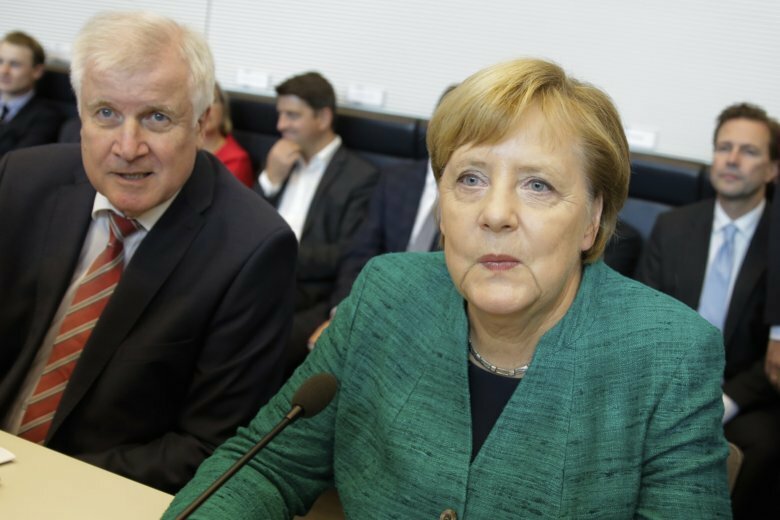 BERLIN (AP) — A close ally of Chancellor Angela Merkel was ousted Tuesday as head of her conservative bloc’s parliamentary group, a surprise defeat that dealt a blow to the longtime German leader’s authority in her own ranks. Volker Kauder, who had led the parliamentary group of Merkel’s Union bloc since she became chancellor in 2005, was defeated by Ralph Brinkhaus — a budget policy expert who had been one of his deputies. The vote followed a wobbly start to Merkel’s fourth government, a coalition of the Union and the center-left Social Democrats, which has squabbled persistently since it took office in March. It came a year after the conservatives lost significant support in an election that saw the far-right Alternative for Germany enter parliament. Kauder, who had Merkel’s support, had been widely expected to prevail in Tuesday’s vote of lawmakers from Merkel’s Christian Democratic Union and its Bavaria-only sister party, the Christian Social Union. But he was defeated by a 125-112 margin, with two abstentions. She said she hoped to work well with Brinkhaus and left without taking questions. The 50-year-old Brinkhaus, who isn’t well-known to most Germans, was the first challenger Kauder, 68, had faced since taking office 13 years ago. The vote had been viewed as a barometer for Merkel’s authority in the conservative ranks after a difficult year. This is widely expected to be the 64-year-old Merkel’s final term, though the chancellor hasn’t yet set out her future plans. Acknowledging the pressure for renewal, Merkel earlier this year made a popular state governor, Annegret Kramp-Karrenbauer, her party’s new general secretary. She also chose Jens Spahn, an ambitious young conservative and sometime critic, as her new health minister. The latest upheaval comes just as the government tries to get past an embarrassing two-week argument over the future of Germany’s domestic intelligence chief, whom coalition leaders eventually agreed to move to a job at the Interior Ministry after he appeared to downplay recent far-right violence against migrants. Merkel on Monday admitted mistakes in handling that dispute and said that the coalition parties “have been too preoccupied with ourselves” in recent months.